A boring bathroom just won’t do. You wish you could add more personality to yours, but where do you even begin? We’re glad you asked. Here at CBD Glass in Toronto, Ontario, Canada, we specialize in all things glass. One room we’ve remodeled for many happy clients is the bathroom. Whether you want to change just a few things or go whole-hog with your renovations, we’ve got some great, inspiring ideas to get you started. You can order each of these items through our services here at CBD. Do keep in mind that we offer customization for almost all our products, so you can change any of these chic bathroom additions to your liking! Let’s start with a simple but effective upgrade. 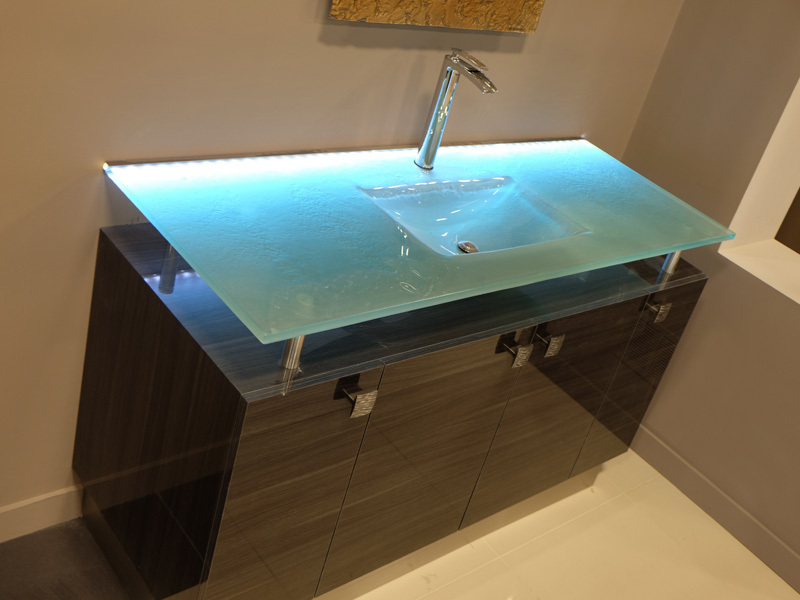 Our team installed this glass vanity sink atop a wooden bathroom cabinet. Said cabinet looked pretty good on its own, but with one of our sinks, it looks even better. This pale aqua blue vanity sink stands out for two reasons. The first is the client chose our frost finish, one of many available glass textures available through CBD. The second reason we love this sink so much? It glows in the night with soft LED lighting installed at the back of the sink. Our vessel sinks remain a popular addition for a remodeled bathroom. They sit above the cabinet, so they need a great shape and texture. This Allure sink fits the bill perfectly. It’s a delicate sink, again in our aqua blue glass base. With its frost texture, it makes any bathroom classy. No, that’s not a real waterfall you’re looking at. It’s a gorgeous recreation that can go in your bathroom when you work with us at CBDGlass. 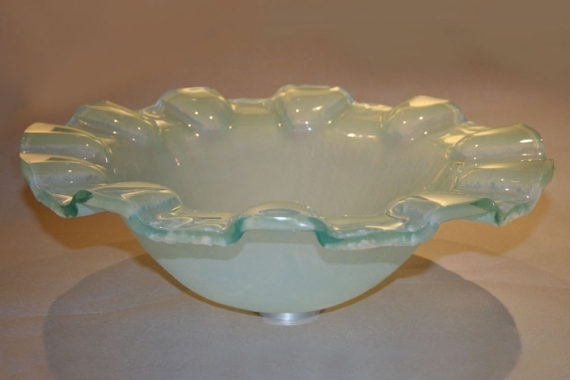 We used the pale aqua glass at a thickness of ¾ inches. Then, our team backpainted the glass a translucent sky blue for a finishing touch. Backpainting is one of our more unique services. Whether you want your glass a single color or multiple, you can get it at CBDGlass. 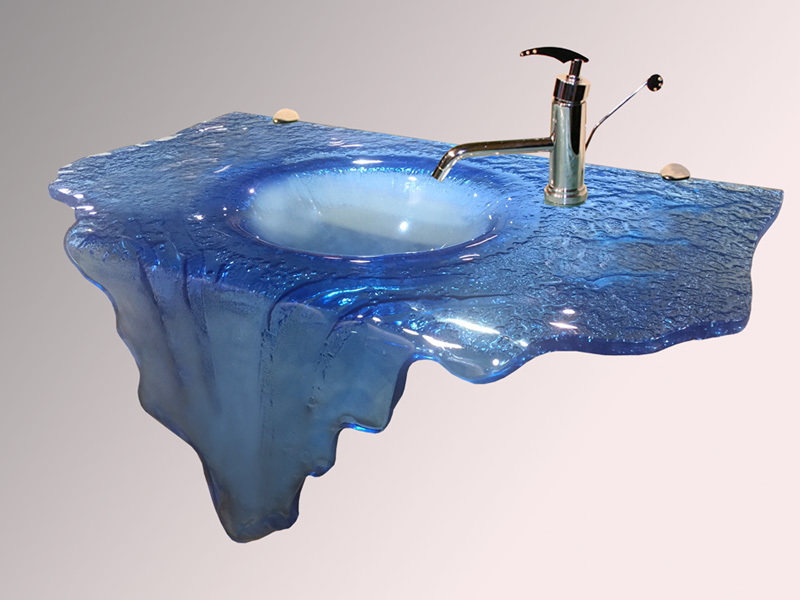 You might not think pedestal sinks are anything special until you see what we can do with them. For instance, look at this example. 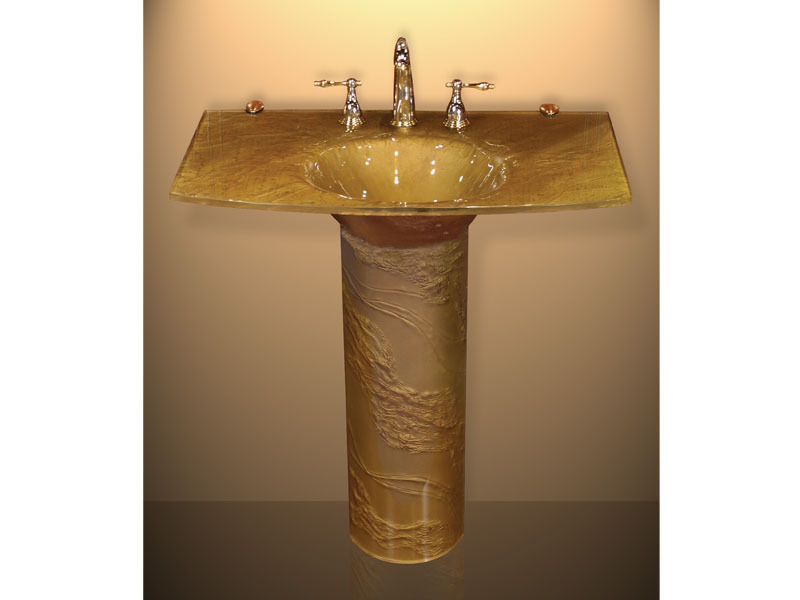 We painted this entire glass pedestal sink our antique gold color. It adds a sense of wealth and regality you can’t find anywhere else. These twin bathroom mirrors make the room look several times bigger than it did before. They’re simple, yes, but appealing in their simplicity. This client opted for our LED lighting for their bathroom, which provides an ample but subtle glow behind each mirror. The ideas presented in this post are several of thousands you can select from when you choose our services at CBD Glass. Remember, you can customize any of the above items to your specifications. Call us today at 1-855-872-4223.